The ramblings of a nomadic inventor. I needed a simple way to monitor the pump on our well. Other times, like last month, the pump remains on 24/7 and the water overflows the tank until someone notices. It took 35 days at 2KW before anyone noticed. $400 electric bill!!!!! The well and tank are not visible or even easily accessible from the house. Seems like a good application for the esp8266. 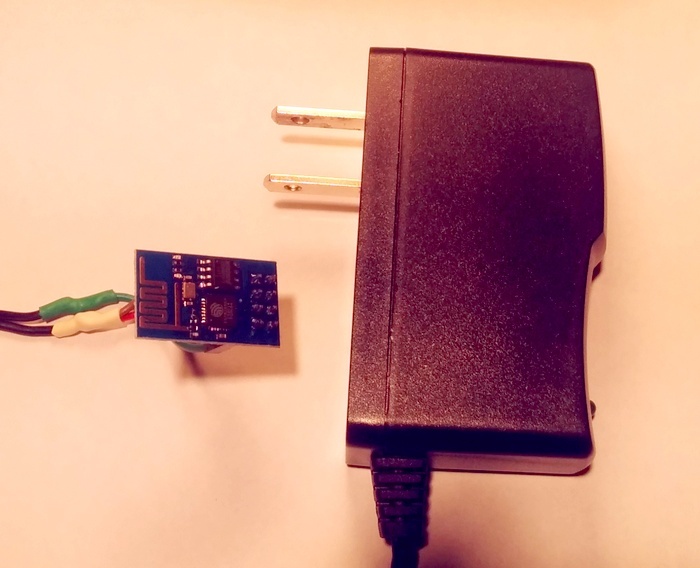 A 3.3 volt wallwart is connected in parallel with the pump relay to power the esp8266 in a waterproof box. It couldn’t be any simpler. When power is on, it pings a php script on my webserver. A simple program that logs the times and reports by email if the pump hasn’t run for more than 24 hours, or if it has run for more than 2 hours straight. Normal operation is an hour a day. Inspired by Mark and Xavi’s How to use ESP8266 ESP-01 as a SENSOR web client post, I decided to use Lua for this quick job. On the esp8266 set up the AP SSID and password as usual and run benlo.lua every 30 seconds when the power is on. This is conveniently stored permanently in flash memory! As you can see, this script just connects to the web server once every 30 seconds when the power is present. The output from the webserver script gets sent to the UART if the computer is connected. Otherwise, it just blinks the blue LED on the board, giving visual feedback of successful operation. I suppose, benlo.lua could just be incorporated into init.lua, but I like the idea of keeping it separate. Thanks and kudos to the developers who put up the Lua code, it was pretty easy to craft this in an afternoon without knowing anything about Lua or the esp8266. This entry was posted on November 23, 2014 at 11:46 pm and is filed under esp8266, Lua. You can follow any responses to this entry through the RSS 2.0 feed. You can leave a response, or trackback from your own site. Mmmmmmmm Artista! Nano, estàs per Barna? Quan volguis estàs invitat a made-bcn.org!! !